This 900 CD was sold new by Causeway Garage in Chippenham, Wiltshire (Great Britain), to Mr Capell of Wavin Plastics, Chippenham. The car is silver metallic with blue Contour velour upholstery. Fitted with aftermarket “Econocruise” cruise control, front fog lamps, SAAB retractable towbar & “air bags” assisters, this is a nicely equipped CD. The car had been taken off the road some time in the late 1990s with some accident damage at the front broken headlamp, grille & bent bumper mountings. 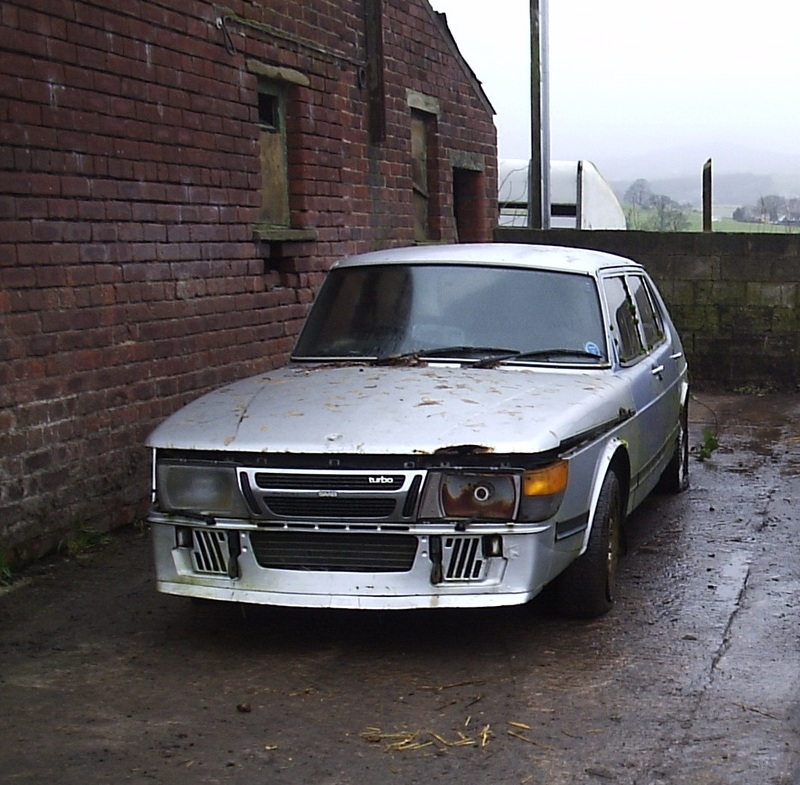 Whilst in storage the engine seized and the Saab never drove again. There are signs of poor paint and accident repairs to all of the left side of the car (front wing, doors, rear wing), and numerous small parts had been removed to repair other cars. Owner David bought the car on eBay in September 2006 for just £50, to use as a source of spare parts for his other 900CD (m1984).